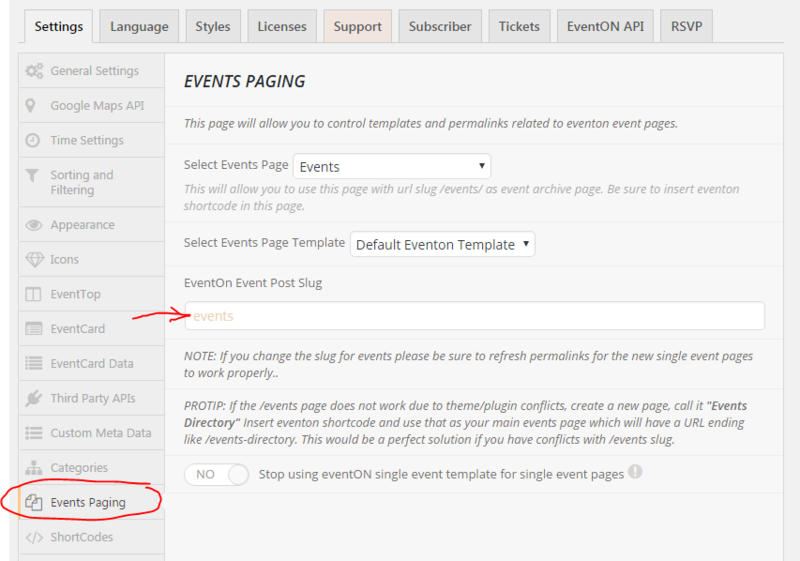 Changing event slug can be achieved easily via eventon settings. You can further customize the event permalink structure with the slug by tapping into the pluggable filter like below. — This code should go in functions.php file in your theme. Above example show several options you can pass into rewrite of slug in the event permalinks. with_front — option allow you to either remove any front URL parameters added for other pages be removed from event permalink.